Architect: DMJM Arch & Eng. The Facility was constructed on a former industrial site, which consists of multiple parcels of land over approximately twenty-eight acres. The team coordinated environmental site management, devised a safety program, and assigned dedicated safety personnel on site. Careful planning, safe practices, and extensive communication among Gilbane, the ECIA, and the County minimized worker risks. 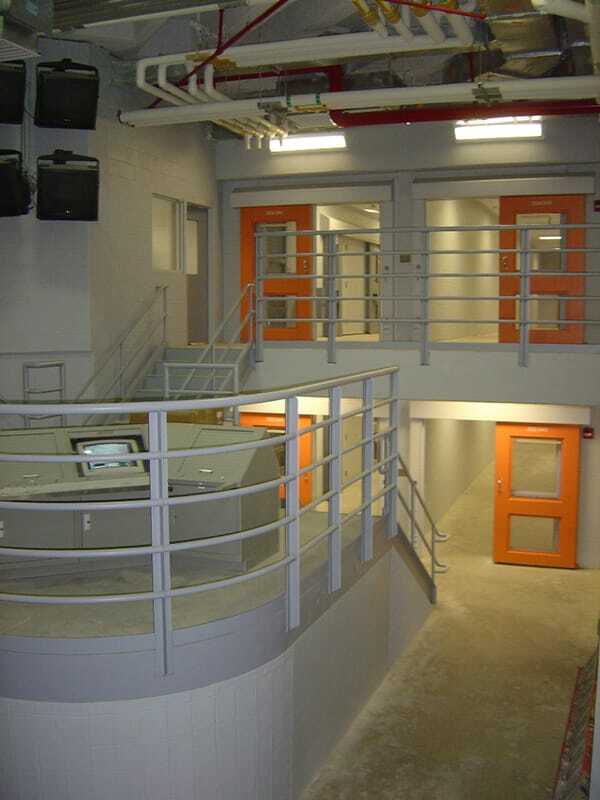 The overall organization of the project involved the provision of three types of inmate housing facilities clustered in and around a Support Building providing centralized administration, program, and support functions. 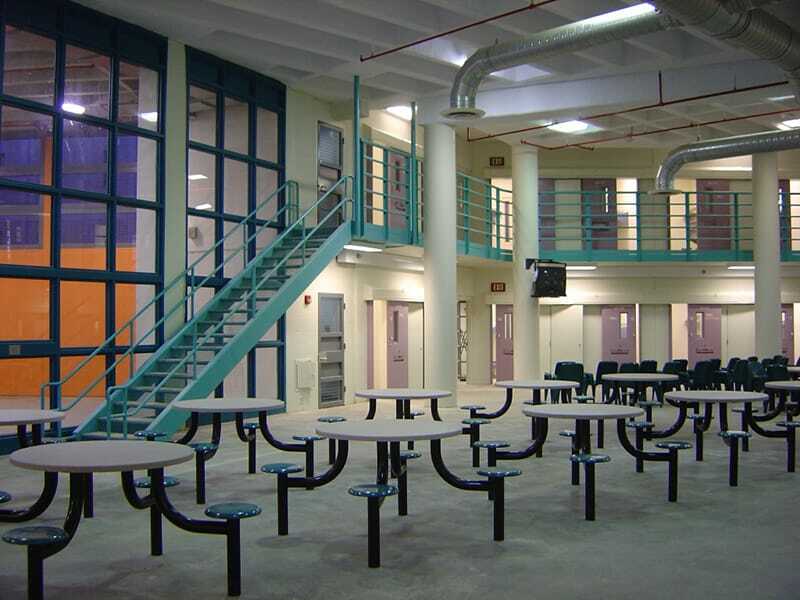 Five building structures totaling 924,000 SF are interconnected with a four-level central circulation spine, and are used to provide a total of 2,400 – 2,800 inmate housing beds (1,536 cells) and the necessary ancillary and support facilities that comprise the contemporary jail environment. The Gilbane project team participated in partnering sessions to identify problems within the budget and find ways to reduce material and service costs without compromising quality. 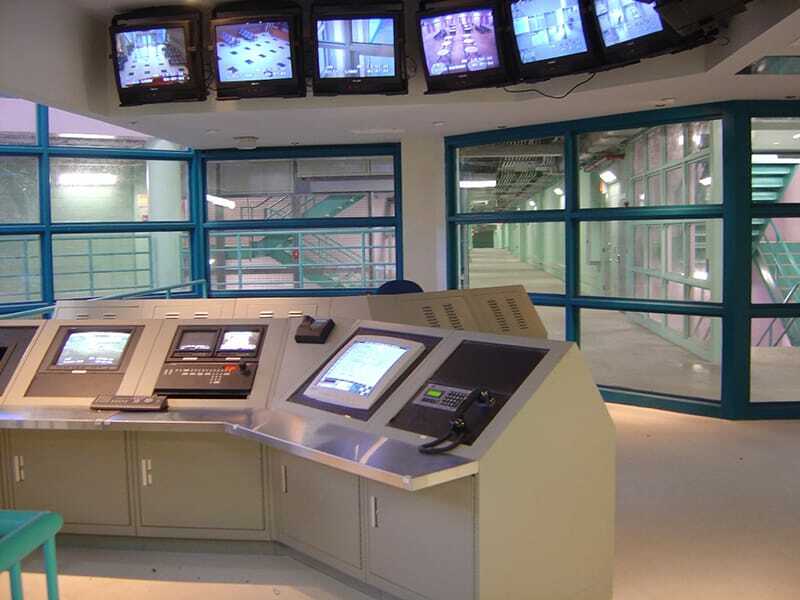 Gilbane was able to propose savings of more than $120 million in value engineering, $50 million of which were used Faced with the challenge of building the Essex County Correctional Facility in Newark, N.J.-the largest prison project east of the Mississippi.